Posted in Jesus, Mary, The Mother's Words and tagged Jesus, Mary, The Mother's Words on September 20, 2011 by mba. “No one but God knows the entirety of what I suffered during the Passion and Crucifixion of My Son. 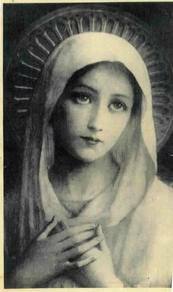 It will happen again but this time My Immaculate Heart will triumph” (7/1/10). “We love you, We give you Peace” (7/9/10). Posted in Mary, The Mother's Words and tagged Mary, The Mother's Words on May 9, 2011 by mba. Posted in God the Father, Jesus, Mary, The Father's Words, The Mother's Words, The Son's Words and tagged God the Father, Jesus, Mary, The Father's Words, The Mother's Words, The Son's Words on May 6, 2011 by mba. Posted in Mary, The Divine Family, The Mother's Words and tagged Mary, The Divine Family, The Mother's Words on October 13, 2010 by mba.